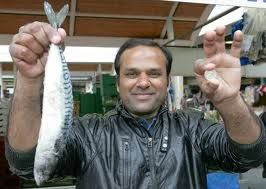 While 'Gangman' and 'Aircraft Carrier Style' have attracted lot of audience from around the world, there is yet another song making smashing hit on YouTube: The One Pound Fish. 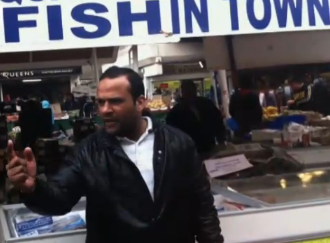 "Come on ladies, come on ladies, one pound fish... Have a have a look, one pound fish!" The man behind the song is 30 years old Muhammad Shahid Nazir, who not long ago arrived in Britain from Pattoki near the city of Lahore in Pakistan, and decided to sing about his wares rather than shout like the other market traders. Shahid proudly says: "West Ham football supporters often stop here and tell me they've come to hear me sing as well as watch the match."